Food Fight 15 is an event built around bringing the food & beverage industry together to create camaraderie for locals and non-locals alike to Drink. Eat. Fight. Six local chefs competed for the title of Food Fight 513 / 15 champion. The chefs were given a mystery basket of ingredients and 30 minutes to create a spectacular dish for the judges to critique. The top two chefs then competed against each other in the final round. 1N5 was very impressed with the creativity each judge brought to the challenge. The winner of the night was Chef Josh Campbell of Django Western Taco. 1N5 was excited to connect with chefs and other food industry professionals from Food Fight 513 at the new location, Karrikin Spirits on Monday, February 4th, 2019. 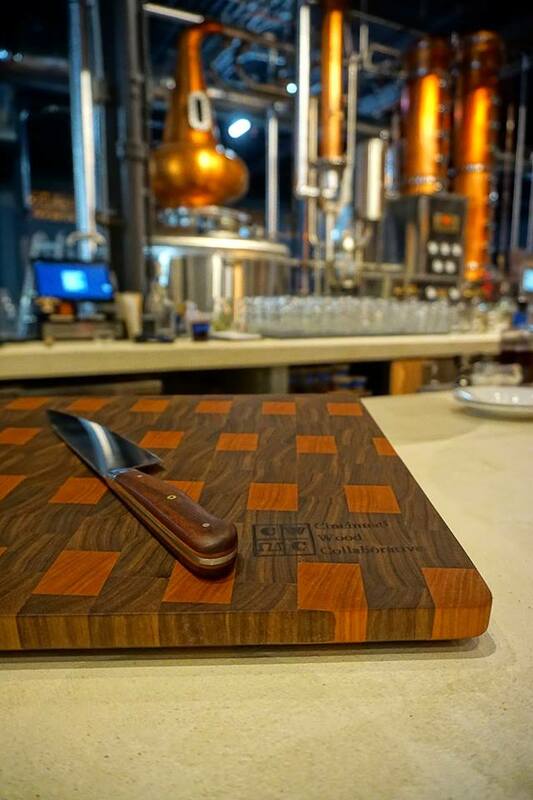 1N5 received half of the door entrance fee and just over $600 from Cincinnati Wood Collaborative and Cincy Sharp‘s raffle of a one-of-a-kind Cutting Board and Chef Knife set. Around 150 attendees enjoyed sharing in our mission and starting more much-needed conversations about mental health with an amazing, energetic group.